Karl Marx argued that he himself was not a Marxist. This was clearly a criticism against the followers who misunderstood his work, but it was also a positioning of detachment towards all ideology. This puts the social theoretical contribution of Marx in profound accordance with the revolutionary contemplative praxis of Siddharta Gautama. As the Maitriyana produces an articulation between Gautama and Marx, it develops the method of libertarian meditation as a form of inter-dialoguing with reality, by forcing the apprentice to tension his faculties of thinking by himself. Thus the Buddhist Socialism contemplates the historical processes as complex and non-linear self-constructions, being a current of thought which overcomes the scientific and philosophical determinism that imposes a destination on the people, so that it is a possibility for the Liberation of humanity, whatever the historical circumstances in which it is found. This implies that the Maitriyana proposes a revolutionary way of economy and politics as a way to expand the productive powers of the people, at the same time it makes emerge a cultural transformation that ensures the full development of the human being. Therefore, the metapolitical theory of the Buddhist Socialism is a universal passport whose supreme ethical virtue consists in being suprahistorical. The breadth and depth that accompany the libertarian meditation are due to that they form part of a greater Path than the mere study of political concerns, since the Maitriyana is pointing to a revitalization of the revolutionary social thinking through a contemplative scientific methodology that transforms the culture. The essence of this reorganization is to propose an alternative civilization that is able to achieve the Cure (Nirvana) of the problems that the world is facing, such as war, injustice, ignorance and pollution. Thus the spiritual master is critical towards the capitalist civilization, but he also takes an active position that proposes the construction of a new society by means of a countercultural revolution based on the research and teaching of the peak knowledge (Satori). One of the central axes of the transcultural paradigm of the Buddhist Socialism is proposed to reorganize the international community around the powerful notion of the spiritual Awakening (Bodhi) of all the humanity, implying to assume the search for a social transformation inspired in the thought and lifestyle of the Free and Enlightened Being (Arhat-Bodhisattva), which is nothing less than the perennial vision of all the peoples. When speaking of the evolution of consciousness it alludes to the complex issue which is related to the ability of the individual to open his mind towards the imperfection, impermanence and insubstantiality of the Real. The metapolitics of the Maitriyana revolves around the economic, political and cultural reorganization of capitalist civilization, liberating the society through the ethical potentiation of consciousness. In this sense, the role of the libertarian meditation is to have an ethical and scientific responsibility within the political field in so far as the peak knowledge (Satori) constitutes a supporting base for revolutionary decisions. Consequently, the revolutionary contemplation (kakumei-zen) involves a different set of decision-making. When the spiritual master cares for peace, equality, education and ecology does not seek to contribute to consolidate the functioning of the established order but rather to generate projects of a different society. 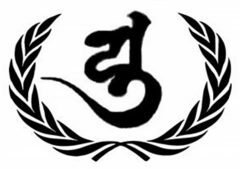 The Free and Enlightened Being (Arhat-Bodhisattva) is positioned facing the reality with an agenda that is completely alternative with respect to the state bureaucracies and international organizations, breaking with the parameters imposed by the dualistic logic of Power. The issues that worry the libertarian meditation of the Buddhist Socialism arise from an alert and rupturist Mindfulness, not being functional to the society dominant projects. In order to transform the world one has to see new and utopian realities, which means being able to recognize and distance oneself from the established order. To save the world, Maitriyana performs this detachment, recognizing the surrounding reality by knowing to be placed as a counterculture of the historical period in which it exists. The revolutionary contemplation (kakumei-zen) forces the apprentice to be placed at a threshold from which the Real is perceived, always acting ethically in the present. The Buddhist Socialism is an interrelation of utopian projects, but which can be implemented in the here and now, reason why it is a matter that concerns all the peoples and from which the subject cannot escape without mortgaging the future of the world. Therefore, the economic and political crisis that humanity is experiencing is a crisis of spiritual values. In all the forms of culture there is a production that has the highest rank and influence over the others, this being the case of the spiritual values. It is a general enlightenment or particular ether that transforms the specific characteristics of all the forms of existence. In this way, the Maitriyana considers that it is time to rethink and rebuild the obsolete ways of managing the culture, even the Marxist, since the spiritual master becomes detached from everything achieved in the past and he drives himself to a new way of experiencing the existence, by creating a space of inspiration for the future generations where the Cure (Nirvana) and Liberty of the people can both be strengthened. Thus, an approach to the multidimensional understanding of the countercultural revolution of Buddhist Socialism reveals that it is an organization of ethical discipline of the Self, by teaching the apprentice to self-realize his personality and conquer a higher and amplified state of consciousness (H-ASC) through which it comes to understand the function which is had in the history and Purpose (Dharma) of the own life. But this spiritual evolution does not occur spontaneously, being a creation of the libertarian meditation as a way of knowledge of oneself and as a way of being the master of oneself. This cannot be obtained without contemplating to the others, by knowing the Being of the other and his set of efforts. Thus, for creating a libertarian socialist civilization, the Maitriyana advises to learn from all the disciplines and knowings but without losing sight of the Purpose (Dharma), which is to know oneself better through the others and know others through oneself. The aim of transforming the cultural paradigm makes up the axis of the dealienation which the Buddhist Socialism promotes, interacting with the multidimensionality of the subject by proposing a transformation of the internal and external world. The metapolitics of Maitriyana is not an abstract or depersonalized idea of social reorganization, but it is a proposal to transform the entire existence of the apprentice. Since the libertarian meditation operates as a transitional space between the subjective structure and the social structure, it enables opening a plural interlinking pathway. Without this horizon of Awakening (Bodhi) of the subject and the world there is no alternative civilization or any real progress. However, in the Buddhist Socialism, the concept of progress should not be apprehended in its usual materialistic and technological vision, but rather in the sense of the development of arts, equality and liberty. These values are the backbone of the organization of the libertarian socialist civilization. From such stance it is built this spiritual model of human rights communism as an engaged Way with the future of the Earth (Gaiayana). The advances made in the research and teaching, in which the Free and Enlightened Beings (Arhats-Bodhisattvas) are immersed, place them with an indisputable potential for producing a global impact. The transpersonalización and integrity in the field of the contemplative sciences produces human beings with a broader vision and more complex civilizational goals. This aim is not only specific from Maitriyana, since it is present in the own modalities of the great spiritual masters of the world, who have been proposed to effectively prepare apprentices who are able to cross the lines and perform a better world. However, for rooting the Liberty and Cure (Nirvana) in the entire people not only it has to socialize the economy and politics, developing a communist system with a direct democracy, but also it has to socialize the culture, universalizing the advanced and free education for all humanity. This leads to the complexity of the existential circumstances where the revolutionary transformation of the social processes no longer constitutes a taboo but rather they are perceived as necessary measures aimed at the good of all the people. The Buddhist Socialism is certainly a social praxis but is also rooted in the Awakening (Bodhi) of consciousness, acting both in the social fabric and in the transformation of the brain of the subject, because the detachment towards the religious or political dogmas exerts a radical influence over the neurobiological form of the mind. In this sense, the medullar axis of the Maitriyana is an unfoldment as an integrative and reconciliatory counterculture, overcoming both the segmentation and parcelization of knowledge and the life of the people. The journey from dualism and fragmentation towards the integration and Reconciliation (Maitri) is a challenge that transcends both the local and international culture. Even Marxism is overcome by the Project of the Buddhist Socialism, whose ability to cross all sort of frontiers in pursuit of the analysis of the subjective and social reality contributes to the Cure (Nirvana) of the world problems. From the Maitriyana tradition the idea of libertarian meditation was always seen as a tribute to the reconciling conception proper of the world vision from the revolutionary counterculture and as the product of a search for a post-capitalist civilization. Although the Free and Enlightened Being (Arhat-Bodhisattva) often focuses to the field of education, obviously he surpasses such field, boosting a transcultural revolution as a way to solve the central problems of society, such as fragmentation and discrimination. The spiritual master presides the performance of the Buddhist Socialism in general, while is dedicated to the research and teaching in particular, because the education is his object of contemplative reflection for its articulating and promoter condition of the peak knowledge (Satori) for the development of all the peoples. From this perspective, the Maitriyana creates cutting edge universities willing to face the profound ills of society through the transmission of the compassionate wisdom (karuna-prajña), thus influencing the economic, political and cultural development of a libertarian socialist civilization. The Buddhist Socialism is a perspective that genuinely expresses the vision of Gautama and Marx, being the strongest bulwark of the transnational and transcultural revolution. Thus, the Free and Enlightened Being (Arhat-Bodhisattva) brings about the configuration of a better world where the economic, political, and cultural forces are in favour of the emancipation and Awakening (Bodhi) of the people. This organic interrelation of different fields and disciplines indicates that the revolution should be as inclusive and complex as possible, working with a paradoxical dialectic methodology, but without losing sight of the particular problems that may arise. In accordance with Marx, the Maitriyana is well aware that it is impossible to understand the economic field outside the complex political, social and cultural system that supports it. Like Antonio Gramsci, the Buddhist Socialism claims that the separations between these areas of reflection are conceptual or symbolic clippings and not independent or autonomous realities. This demonstrates that the metapsychology, metaphilosophy and metapolitics of Maitriyana are mere methodological distinctions within an organic vision. Faced an interconnected reality, the metapolitical theory of the Buddhist Socialism does nothing but endeavour for building transdisciplinary knowings and non-fragmented theories, because the dualism distorts the reality that is intended to address. Thus the Gautama-Marx articulation is not only an economic theory of communism nor a sociological theory of the awakened society, due that the Maitriyana is a reconciling, all-encompassing and unifying practical-theoretical corpus of different visions and interpretations about the world, none of which can by itself satisfactorily illuminate the complex interconnectivity of the Real. This is precisely the distinctive feature of the Buddhist Socialism, whose totalizing and integrative epistemology –that is, Marxist– of the diversity of factors and elements of the economy, politics and culture, combine the analytical, existential and libertarian spheres of social life. Thus, in the Maitriyana there is a post-capitalist and post-materialist theory which is raised on the basis of an integral reflection on the totality of the constituent aspects of existence, by overcoming the selfishness, dualism and consumerism that characterizes the bourgeois cosmovision. The proposal of the spiritual master is not only thinking and acting as a discipline but also functioning as a wide and dynamic vision of the Real, by interrelating multiple objects of study within a paradigmatic fabric. The scientific performance of the libertarian meditation contributes to a practice of countercultural organization capable of producing a revolution which regenerates the spiritual nature of humanity, giving course to the full emergence of wise and compassionate qualities within the civilization. Therefore, the revolutionary contemplation (kakumei-zen) transgresses the status quo, by establishing a social functioning that is caused by its analytical and existential style. The integrative format of the Buddhist Socialism teaches the Cure (Nirvana) from social fragmentation, by transmitting a reconciliation based on the unity to which the mind of the apprentice can reach, as emancipatory restoration of the missing link of the subject with the Wholeness. According to the conception of the Gautama-Marx articulation, all the events of the history of the peoples have been produced in an unconscious way, because the facts have not been a consequence of the conscious will of the human being. Therefore, the Maitriyana shows the Pathway so that the historical events are concordant to Good, Liberty and Awakening (Bodhi) of the people. To achieve this it is critical the teaching of the Free and Enlightened Being (Arhat-Bodhisattva) and his countercultural revolution, which goes beyond the economic and political. Even Engels himself acknowledged that the fact that the Marxist disciples have unduly prioritized economic aspects was the fault both from him and Marx himself, because it was not given the due importance to the other factors that interfere with the game of causality. The extreme duality of mind and society does not constitute a privative inconvenience of the Buddhist Socialism because this movement is rooted in the Sublimation (Nirodh) from the subjective impulses of attachment, aversion and unconsciousness, which in the social organizations function as greed, hatred and delusion. Thus, the libertarian meditation is a critical action towards the ordinary consciousness and the modern culture of the world. All the different variants of the Maitriyana are historical singularities that give origin to a superior mind and to a libertarian socialist civilization, because when the spiritual teachings are deployed in the society this produces effects on a global scale. The contemplative sciences perform several operations of complexification which potentiate their deconstructive and liberating power of the culture, thus guaranteeing its status to go beyond the normal. These operations are the integration or Reconciliation (Maitri), which are a foundational process of these spiritual disciplines that have evolved over thousands of years, by addressing the reality through the unity underlying all the separations. The Buddhist Socialism then assumes a paradoxical dialectical logic as a pathway of complexification and interrelatedness of phenomena, considering the integration as the only way to do true science. Certainly, this quest is difficult to achieve, but the social activism of Maitriyana works to face this challenge of a high quality universal cultural revolution. Given that the construction of an alternative civilization involves convening a common project for all the peoples of the planet, the Buddhist Socialism aims at the Cure (Nirvana) of the economic, political and cultural processes, opening new options and possibilities for the whole world. Therefore, the libertarian meditation poses a right way of thinking and acting that abandons customs, making that the spontaneity and creativity inherent in the countercultural spaces emerge. In this sense, the simultaneity of voices present in the Maitriyana tradition is a multidimensional co-evolution of the human being and Earth (Gaia), by achieving the unity in diversity by working for the common Purpose (Dharma) of the future. But it will only occur through the brotherhood and reconciliation among the peoples, overcoming the self limitations that impede the development of peace, equality, wisdom and compassion. Thus is how the libertarian commune (Sangha) of spiritual apprentices may have incidence on the social course of humanity. The spiritual masters not only generate a transcendent guide in the educational processes, but they also function as a lighthouse for the future, being the embodiment of a higher education that can understand and transform the entire Universe. This practical and theoretical opening of the Free and Enlightened Being (Arhat-Bodhisattva) indicates that the authoritarian communism has been a partial and incomplete approach, not being able to rescue the essential issues of the contemporary world. Therefore, the Buddhist Socialism is a species of enrichment of the use of Marxism, de-identifying it from its elitist Soviet version in order to not superficially disdain its potentialities of resolution of the problems of the current global society. Instead, the pseudo-revolutionary governments have done precisely the opposite, betraying the thought of the founders through a despotic scheme empty from liberty. Thus Maitriyana is a Libertarian Discourse configured as a return to the original spirit of Gautama and Marx, while its Third Way considers both metaphysics and materialism as a cemetery of awakenings. The Buddhist Socialism then teaches that the religious institution and the authoritarian government are perverse spaces full of corpses of liberties, lacking a complex and original thinking. In the countercultural complaint from Maitriyana there is a pedagogical attitude to set itself up as the complexificator and reconciler of reality, by helping the individual to understand the peak knowledge (Satori) that can save the world. The revolutionary contemplation (kakumei-zen) opens the possibility of learning to understand, by starting a libertarian attitude in the apprentice that is consistent with the original vision of Gautama and Marx. In this way the Buddhist Socialism helps the individual to become a spiritual master capable of remedying the circumstances of suffering in the world. Here, the ability to detach oneself from the fictions of the status quo – such as the progress of technology – structures the critical and revolutionary conception of society. The training of the Free and Enlightened Being (Arhat-Bodhisattva) generates a total transformation of the sense of reality in the apprentice, showing which the roots of civilizatory processes surrounding him are, at the same time it is understood how to perform the supreme labour of assisting the project of transforming the culture as the Only Way (Ekayana) of Liberty. But this scientific responsibility of forming evolved human beings demands a perennial wisdom or libertarian meditation on who one is, from where one comes from and where one goes. The proof of how valuable is the model of socialist civilization is that it produces a superior species of human being, but without the need for a technological optimization. It is only needed the excellence of the Mindfulness towards the Real, expanding the possibilities of the peak knowledge (Satori) within the everyday life. From the specificity of the avatars of Maitriyana, the history of humanity is cyclical and repetitive, so that the Awakening (Bodhi) is the only possibility for the event of the new human being. Precisely the past, present and future value from the Buddhist Socialism is to be a messianic cosmovision, not because of having engendered an original vision of the world with its revolutionary contemplation (kakumei-zen) but because it is a Way to overcome what is fragmentary, unrealized and immature in humanity, by routing the peoples towards unity, self-realization and spiritual evolution. In accordance with Marx, Maitriyana interprets the entire history of the world and not just its past, pointing out that approximation to the primordial aspect of the Being lies in the doing, because the true selfness is not substantial but a happening in motion. Thus the spiritual master drives the subject to break into the categorical imperatives and social norms, criticizing the prevailing conditions in order to transform the reality. Although the human being who is born is not responsible for the system of oppressive relations of the capitalist civilization from which it is himself a social product, he is certainly responsible for his future maintenance as long as he does not attempt to get close to the processes of transformation of reality. The Buddhist Socialism is a mystical scientific progress coming from a paradoxical dialectic which is self-formative of a constant ascent of analytical, existential and libertarian ideas. This Spiritual Discourse is a hopeful perspective with the potentiality of transforming the world, by achieving the ethical recomposition of society through a practice typical of the future civilization. In contrast to the contemporary world, which simply tends to stagnation and self-destruction, the Maitriyana is a positioning that evaluates how to start a New Genesis on the basis of the experience of the imperfect, impermanent and insubstantial aspects of the Real. Therefore, the Buddhist Socialism is a Way of optimism and goodwill, by being a direct step towards the evolution of consciousness of all humanity. This implies it is a countercultural teaching which criticizes the capitalist conception of the world to construct a unitary, coherent and advanced society. Therefore, this means criticizing all academic philosophy and materialistic science, developing an awareness of reality as it is. This practice of know thyself is able to leave historical traces that benefit all the people, forging the progress of a worldwide revolutionary culture that functions as Cure (Nirvana) from the problems of contemporaneity. Only the Gautama-Marx articulation may clarify this future, since a system of social relations that propels political directions that are capable of saving the world emerges from the praxis of the libertarian meditation. This unity is not only necessary to maintain the integrity facing the brutal harassment of the capitalist empire, but it is also the condition for the development of a social movement which annuls and overcomes the prevailing status quo. Therefore, the Maitriyana is a subversion of the reality, even seeking to perfect the Marxism itself to convert it into a critical interpretation that interacts with the world through a paradoxical dialectical transformation that is deployed from the genesis of integrative processes, by overcoming the fragmentation and articulating multiple perspectives from reality as it is. Thus the Buddhist Socialism is a way of being and doing, contributing to the earthliness of the processes of the Awakening (Bodhi). One of the achievements associated with the presence of Purpose (Dharma) in the social contemplative analysis is a critical monitoring of the Marxist heritage, by detaching the work of Marx from the authoritarian communist currents. Given that the Maitriyana is a thought that unravels the work of Gautama and Marx, it positions the Free and Enlightened Being (Arhat-Bodhisattva) as a new icon of the revolutionary human being, by questioning the illusions of society through ethical contributions that are capable to really make the world better. Thus, when the apprentice is approximated to the dynamic processes of society he can see there is a possibility of transforming the daily life whenever the mind is distanced itself from selfishness, dualism and consumerism. The Buddhist Socialism is then a Universal Cultural Revolution that dazzles the human being by showing him a Pathway of abandon from the repetitive and thoughtless aspect, fecundating an active and questioning thinking which activates the analytical, existential and libertarian resources in the face of the needs of the Earth (Gaia). The judgment of the spiritual master shows what to do to take the next evolutionary step in the history of humanity, through launching the Maitriyana counterculture as a practical and theoretical heritage for the Cure (Nirvana) of the peoples. But this Universal Cultural Revolution implies that the vast dissemination of the Buddhist Socialism shall be accompanied by certain appreciation for a good theoretical level, differing from what happened with the Marxist movement where the tendency was that many people without any theoretical preparation adhere to the movement only because of its practical and successful signification, characterizing said stage as a union of petty practicism with a complete carelessness for theory. Therefore, the Maitriyana must be an integral revolutionary theory instead of becoming a hodgepodge. Buddhist Socialism will never be submitted to a diffusion of its ideas from the theoretical disparagement, nor will incur a disparagement of the practice, since this is the basis for producing reconciliation (Maitri) rather than the indiscriminate hodgepodge of the old and the new. The Maitriyana, as a centre of an analytical, existential and libertarian research and interconnectedness, goes beyond the known and established, identifying the Purpose (Dharma) of the work of the civilization of the future, that is with which constantly interacts from the own potentialities that it has. This horizon is propellant of a new dawn of Truth, by redirecting intelligence towards compromise with the progress of Liberty and Enlightenment of the world. The rapprochements proposed by the Buddhist Socialism improve society by boosting the mystical scientific community as a model of cultural radiance by propitiating interconnected knowledge. From the perspective of the Free and Enlightened Being (Arhat-Bodhisattva), the effectiveness of the research and education of the Cultural Revolution of the Maitriyana constitutes a perennial philosophical axis that opens multiple paths to the future. In accordance with Marx, the research methodology of the libertarian meditation assimilates the object studied, by analyzing its developments and discovering its links in order to properly expose the movement of the Real. Therefore, the dynamics of the libertarian socialist civilization establishes its theorization on the basis of the Cultural Revolution, replacing metaphysics and materialism to give rise to the approximation of the contemplative science, which never proposes finished and fragmented truths. This implies that the Cultural Revolution must teach open and integral truths, researching and promoting a specialization on the complex and meaningful ways of Interexistence. Here, the formation of revolutionary individuals entails the development of critical elucidation capability that is inherent in Mindfulness, causing a progress of consciousness facing the diverse contents of reality. To do this, the libertarian meditation promotes a totalizing dynamics in perpetual revolution, constantly self-changing in order to be religated (lat. religare) to the Real, so that the Analytical-Existential-Libertarian Discourse (Buddha-Dharma-Sangha) of the Spirituality goes beyond being a revolutionary research in the fields of psychology, philosophy, science, politics and religion, generating a praxis and theory that reaches the greatest integrality of the peak knowledge (Satori). Therefore, the veracity of the contemplative sciences unfolds as a continuous demonstration of the exercise of understanding and transformation of reality, by deconstructing and creating a new lifestyle. Thus the compassionate wisdom (karuna-prajña) meets with imperfection, impermanence and insubstantiality, since incompleteness is necessary for all creation and evolution. When the Buddhist Socialism assumes the responsibility of being a representative of Gautama and Marx it serenely penetrates the social doctrines, having a vision empty from prejudices and stereotypes, while dualism between objectivity and subjectivity is transcended. Only the libertarian meditation uses multiple criteria and perspectives in order to propose – and never impose – diverse solutions, because the contemplative scientific spirit is the tolerance and equanimity, nourishing itself and taking root in the critical investigation of the spiritual master. In contrast to the dogmas of faith or ideology, the tolerance is an extension of know thyself, by purifying the intelligence, increasing the sensitivity and satisfying the scientific activity in its quest for Truth. The highest duty of reason is to be unswervingly loyal to the mission or Purpose (Dharma) of be rooted in the Truth, that is the genuine human progress and the genuine cultural revolution emanating from the perspective of the Maitriyana, which integrates past and future in the experience of the here and now. The libertarian Meditation is the vital possibility that the apprentice has in order to break free from his own attachment, so that the Buddhist Socialism proposes an emancipating transformation of both the social and the cognitive. This means that the deployment of reconciliation and integration is not a mere statement of goals but a practical program for the event of the Awakening (Bodhi) of the inner and outer world, to which it aspires to perennially purify. According to the Free and Enlightened Being (Arhat-Bodhisattva), a revolution must exceed of good will, of peak knowledge (Satori) and of a process of wise and compassionate socialization, teaching the humanity to become a libertarian commune (Sangha) full of mutual support, fruitful communication and hopeful intelligence, being wide pathways that cultivate luminous precepts and beautiful unions that are never forgotten as long as they have been enjoyed. In the libertarian commune (Sangha) there is an elemental environment for the unification of the various useful knowledge for the valuable resolution of immediate problems and for the identification of long-term civilizing alternatives, which opens large pathways towards the evolution and Ascension of the human being. In this way the revolutionary contemplation (kakumei-zen) has devices that generate the transformation of the inner and outer world of the subject, by establishing a cultural revolution from below (that is the mind itself) and not from above (which is the state bureaucracy). Thus, only starting from the root of the problem one can really influence over the foundation of what existing, daily building the opportunity for the new comes into being. Since the True Cultural Revolution may only be established from the transformation of the basis of society, the spiritual master indicates that education is the instance or more important sector for the social transformation of the future. Here, the Maitriyana as a Way of reform or revolution is a challenge to the current politics, since it articulates Gautama and Marx within a social movement that is manifested as an international metapolitical organization. The Buddhist Socialism is the blossoming of connatural potentialities that are put into manifest through a multidimensional social activism and through a revolutionary cultural service which gradually guides the humanity from fragmentation towards the integration, by unfolding a paradoxical dialectical logic that propitiates the ethics of reconciliation in a hybridization of cognitive and social fields. Indeed, the Maitriyana clarifies a harmonious and synthetic combination of diverse disciplines, overcoming the contradictions of the ordinary thinking through a psychological, philosophical and political progress that is controversial par excellence. At the same time, the Buddhist Socialism is presented as an additional force that gives the apprentice a socializing libertarian vision facing the irrational provisions formulated from the highest spheres of the global capitalist Power, but that are also found within the subject as a way of death impulses. The metascientific praxis of Maitriyana creates a practical and theoretical axis demonstrating that the Gautama-Marx articulation is the way how the Marxism of the future will progress, which will be revitalized through the research method of the libertarian meditation, acting responsibly by developing global scenarios where the degree of Cure (Nirvana) and Liberty of the people is increasingly greater. In this way the science of revolutionary contemplation (kakumei-zen) jointly responds to the problems of the world, by making that the subject is aware he is also responsible for the results of society. Although the Cultural Revolution of the Buddhist Socialism is a controversial way of trans-academic life, it certainly is adapted to the contemporary era where multiple cultural identities abound, so it never has a propensity to the theoretical exhaustion. From this perspective, the Maitriyana articulates structural solutions to the world problems, since the radical evanescence of the ills of war, social injustice, ignorance and contamination consists of assuming a transcultural paradigm which is approximated to the integration and Reconciliation (Maitri) of all the fragmented approaches. Consistent with Marx, the Buddhist Socialism proposes an ongoing debate about the relationships between things, which are not conceived by the apprentice as fixed and immutable processes, but rather as transitory events. This same paradoxical dialectical logic on imperfection, impermanence and insubstantiality of the Real is also applied to the field of mind, considering that the concepts depend on changes and transformations in order to not be framed on stereotypes or rigid definitions. This supra-ideological attitude is a historical process that forms a new type of consciousness and society, which grows from the ethics of Detachment towards the culturally inherited psychical models and from which the subject must be de-identified to perform new spiritual quests. It is about redirecting the social interactions from metaphysics and materialism towards the centre of the mystical scientific activism that will be the future of humanity, updating all the potentialities of the human being in the here and now. This Cultural Revolution of the Maitriyana creates the guidelines for a tackling of the complex problems of the world, but it also provides a unique interwoven able to make evolve consciousness and society by banishing egotism, dualism and consumerism. This is the advanced and progressive sense which has Buddhist Socialism, whose totalizing and integrating vision establishes the revolution within the everyday life, which enables not to reify Marxism as a mere alternative economic movement. The Free and Enlightened Beings (Arhats-Bodhisattvas) are bearers of a spiritual teaching which shows that Reconciliation (Maitri) may not be instituted on Earth (Gaia) without first internalizing the fact that there must be a transfiguration of the human being, by supporting his self-progression on the basis of practical actions that convert the everydayness into a cultural activism. Only by transforming the apprentice into a real bearer of the Countercultural Revolution the pass to a new stage of human history will be possible. This obviously implies being detached from the political speeches and the good intentions of the world leaders, because the Countercultural Revolution is a phenomenon with a real and perceptible praxis in the here and now. The objective statement of Maitriyana starts from the Gautama-Marx articulation, so it has the sufficient compassionate wisdom (karuna-prajña) to consciously lead the world towards the Salvation. According to the spiritual master, the key to the Salvation of humanity and the Earth (Gaia) is the Cultural Revolution of the Buddhist Socialism, and the guidance for rightly carrying out this libertarian process is the teaching and investigation of the vision of Gautama and Marx, whose result is the positioning of a superhumanity. Certainly, the model of the libertarian socialist civilization is the solution to the problems of the world and is simultaneously an economic, political and cultural alternative that reorders and re-founds the social paradigm of the utopian vision of the compassionate wisdom (karuna-prajña). The collective future of the human being has Buddhist and Marxist roots, so that the Maitriyana is distinguished as a conducting thread of the word and praxis of the generations to come.